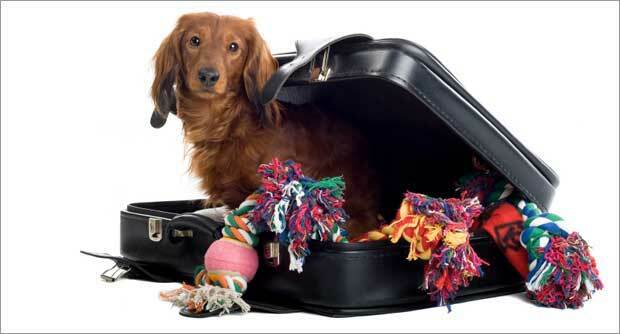 Are you planning to travel with your pet? If you are, please take time to familiarize yourself with requirements for travel, and tips to make your traveling time pleasant. Different destinations have very different requirements for admitting pets. This can involve health certificates (filled out by a licensed veterinarian after a physical examination is completed) which may need to be notarized, stamped, or otherwise ‘authenticated’ before they are accepted, vaccinations and vaccination certificates, laboratory testing and results, microchipping, etc. It is YOUR responsibility as a pet owner to find out what is required, and when any testing must be done (for many countries the timing is crucial, and must be done exactly as specified to be acceptable for entry). It can take up to 6 months to meet the requirements to travel to some countries with a pet. The following websites may be helpful- we are not endorsing any of these sites nor their content, but they may be helpful for information gathering. It may also be helpful to contact the country of destination’s consulate, as there will often be useful information there as well. After you have familiarized yourself with what is needed, we recommend you make a list of requirements and dates they must be completed; at that point it is our pleasure to help you and your pet meet the requirements and help to ensure a less stressful travel experience! Your full service neighborhood veterinary hospital. This information is here for reference purposes; it is your responsibility to be sure you have fully informed yourself about any travel requirements as they vary from place to place, and they do change. Many of these links have additional useful links, so take time to browse! Wishing you safe travels! The Purring Parrot- boarding for cats and birds!